Improper or incomplete paperwork for your pet can derail your travel plans, costing you valuable time and money. Town & Country Veterinart Clinic has USDA-certified veterinarians that have successfully helped pet owners prepare for travel domestically and abroad for years. We are experts in preparing the necessary paperwork for pet travel across the globe. Many states require an up-to-date Certificate of Veterinary Inspection from a licensed, accredited veterinarian when traveling. 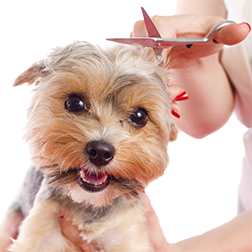 Your pet must be examined by a veterinarian in order for a health certificate to be issued. This certificate indicates that your pet is healthy for travel and that he or she is not showing signs of disease. This certificate is required by most airlines in order for your pet to travel within the continental United States. We strongly recommend contacting your individual airline to understand their specific travel requirements. Oftentimes airlines require that your pet be examined by a veterinarian and a health certificate issued within 10 days of travel. Check with your airline to ensure that your paperwork will be in order. If necessary we are able to add a certificate of acclimation to your pet’s travel papers. This certificate is written at the discretion of our veterinarians and is based upon our vet’s assessment of your pet’s health allowing him or her to travel above or below certain temperatures. As part of our efforts to provide you with the most comprehensive greater-Atlanta pet healthcare services, our veterinarians are USDA certified and can provide international pet health certificates, which are required when traveling with your pet outside of the United States. 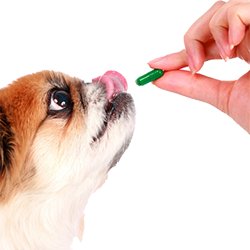 Many countries have their own pet health certificates and travel requirements, available here. If you are traveling to a country without an approved health certificate, please download the United States Interstate and International Certificate of Health Examination for Small Animals. The International Health Certificate should be issued by one of our USDA certified veterinarians at Town & Country Veterinary Clinic as near to the travel date as possible, but not more than 21 days before travel. Generally, the rabies shot must be given at least 30 days, but not more than 12 months, before travel, although some countries have different requirements. However, you must enter your destination country before your pet’s most recent rabies vaccination has expired. Along with an international health certificate, there may be additional requirements for traveling abroad. Please take some time to familiarize yourself with the international pet travel requirements specific to your destination. If you have any questions, our staff at Town & Country Veterinary Clinic is happy to help.